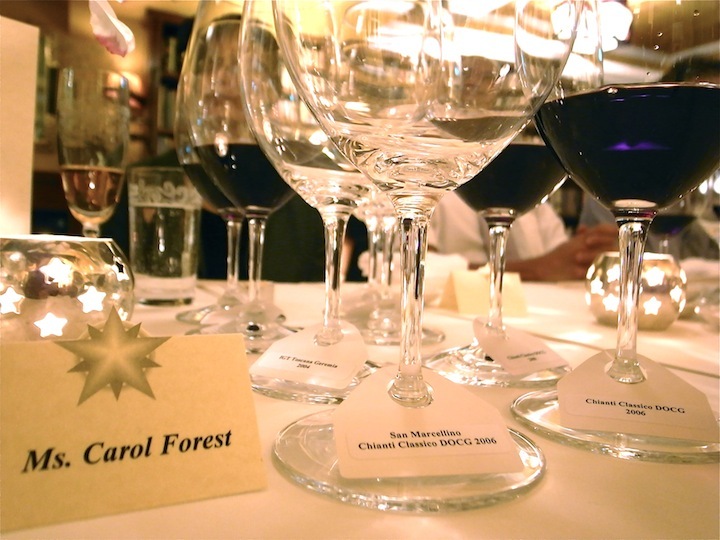 It’s been 9 months since Marco Ricasoli in town (HK) for wine dinner. 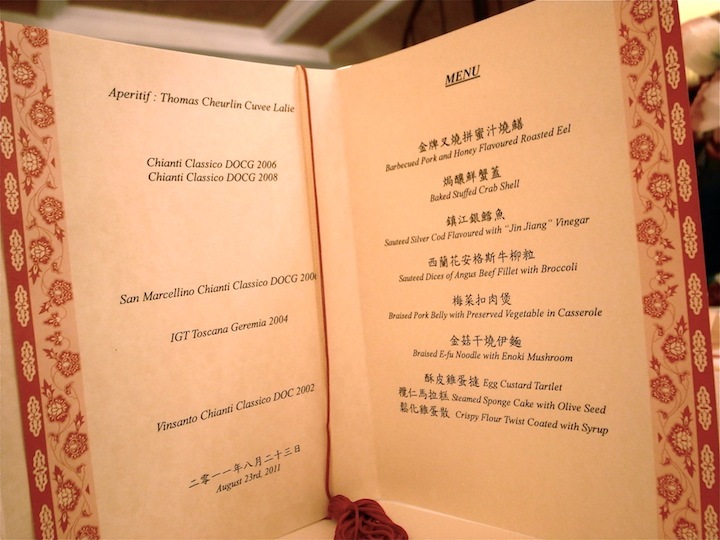 While the one at the drawing room last November 2010 was still fresh in my memory, I got a personal invite from Marco few months earlier to his dinner at the China Club, HK. Time does flies. I love his wine. 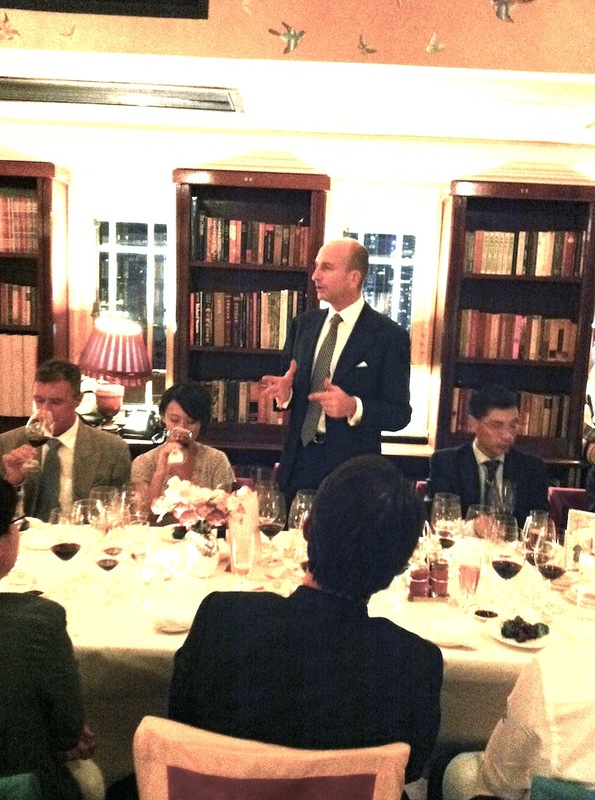 Tonight, once again, I tasted it with Marco sharing his interesting wine making story for his 2011 with other 20+ guest. 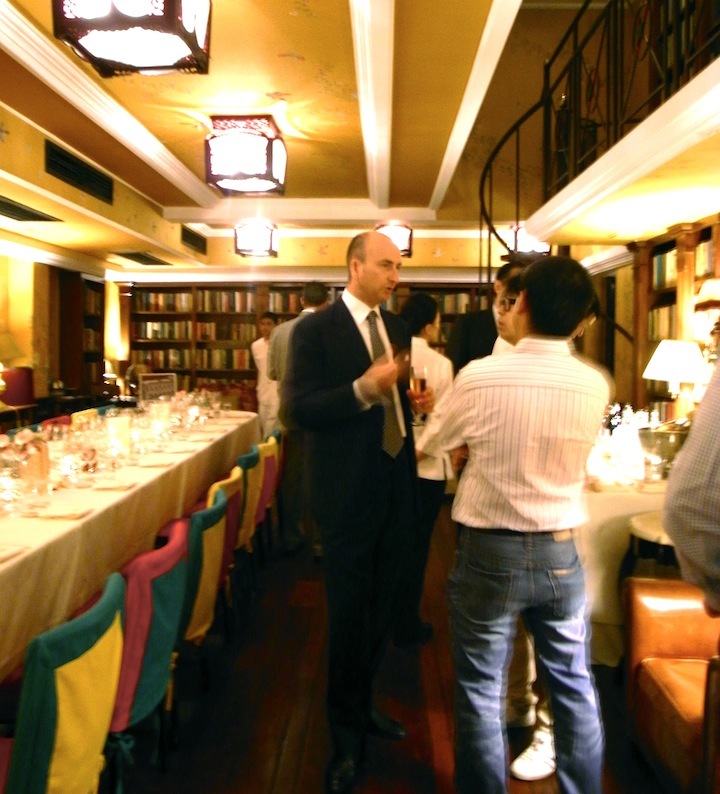 Like always, China club’s library gives such a tranquil yet stylish vibe that is quite contemporary humbly. Was a great time catching up and enjoying the wine and food indeed. Apparently it’s absolutely hot these past few weeks in Italy (and in fact, Italy, Bordeaux in France (once 38 degree) and Europe in general) approaching harvest time. Marco will be rushing back to Tuscany after dinner here and Korea next and determine the best harvest days for Rocca di Montegrossi. He told me he is pretty sure the quality of 2011 is gonna be great but he can say it for sure until final bottling. Finger cross weather all turn out to be the best for his red and his vinsanto! (side note: I love his Vinsanto, however, is like alot of things in life, you better act immediate if you like something. 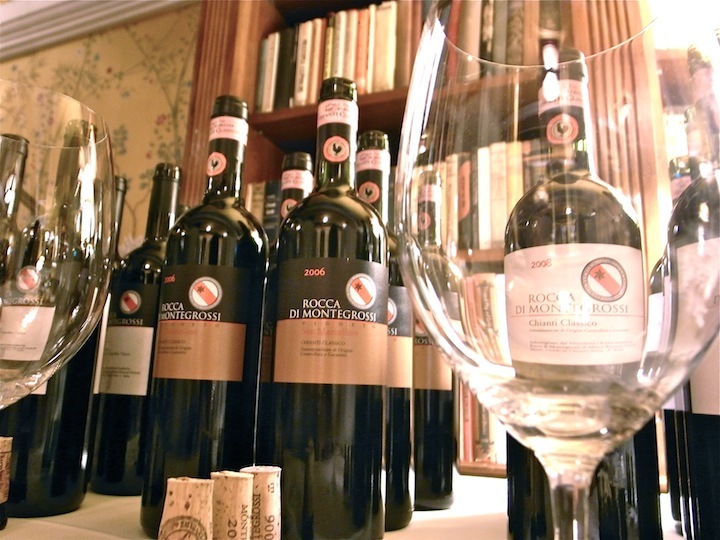 His vinsanto 2001 all sold out, 2002 all booked out with few bottles left for important ones). Another great night. My great Pleasure. Thanks Marco! Getting ready for all the Rocca di Montegrossi. One I long waiting for is it's Vinsanto 2002.